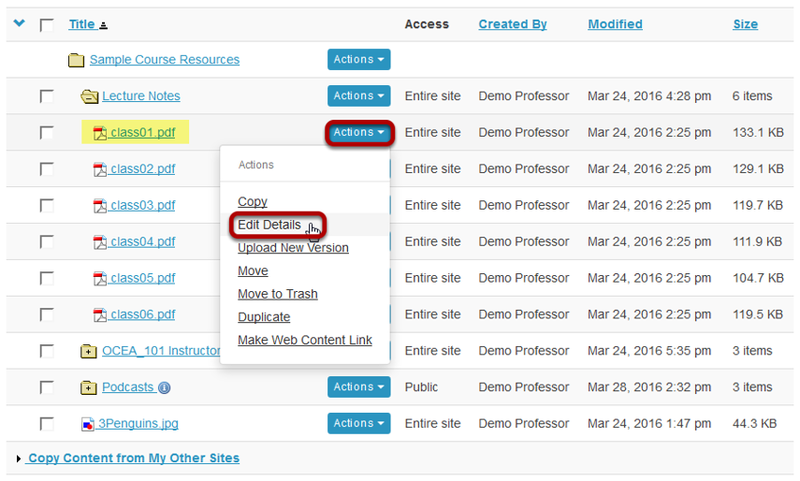 Instructor User Guide Rich Text EditorHow do I create a link to a Resources item in a text box? Go to the Rich Text Editor and select your text. 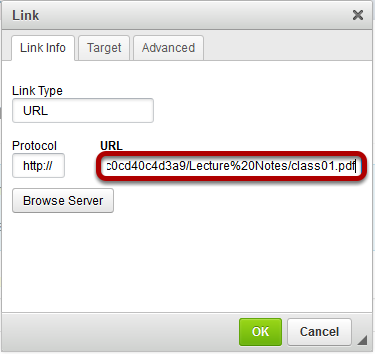 In the text box, select the text you would like to serve as a link to the folder or file. 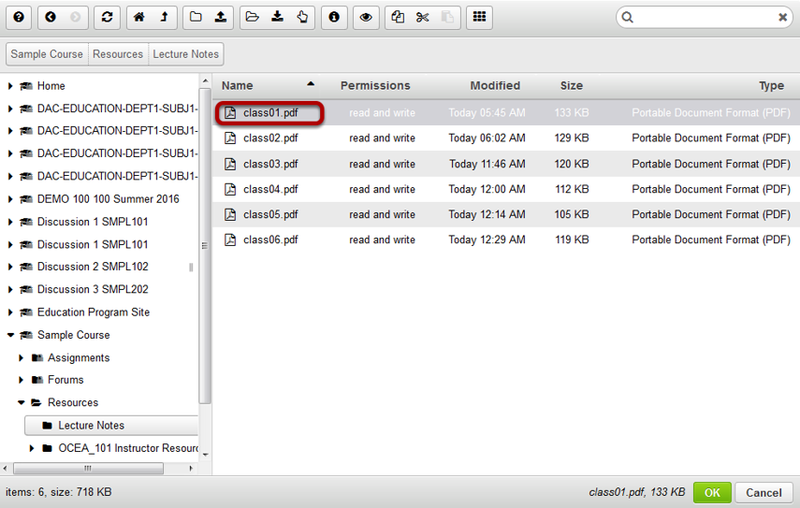 Locate and select the desired file in the file browse window. Zoom: Locate and select the desired file in the file browse window. Click OK to confirm the link. Alternately, you may also go to Resources to locate the item URL. 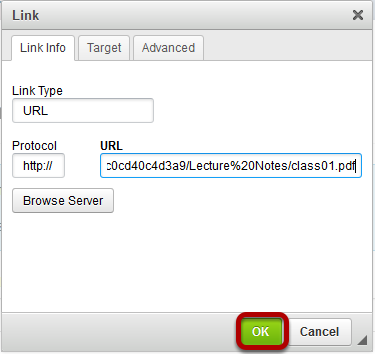 Copy the item URL to your computer's clipboard (CTR-C -PC or COMMAND-C - MAC). 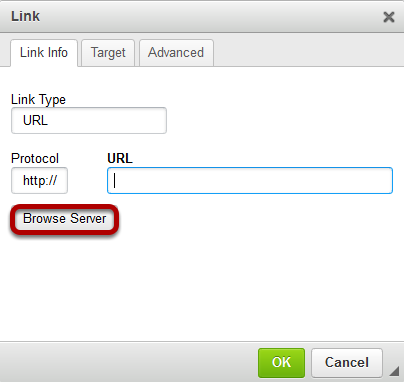 Paste (CTRL-V - PC or COMMAND-V - MAC) the URL for the Resources item in the box marked URL.